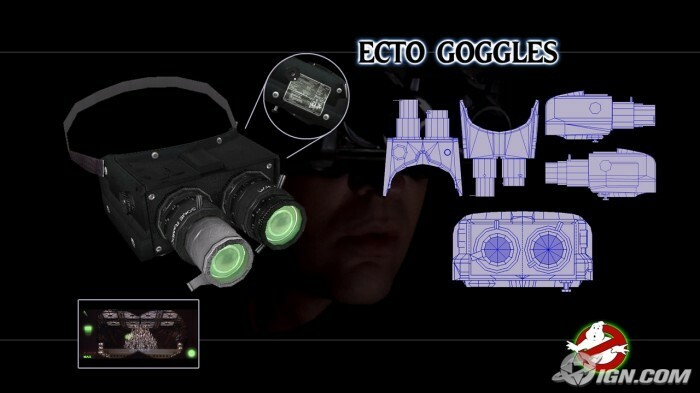 The Ecto Goggles allow the wearer to see invisible ghosts and visually track PKE valences. 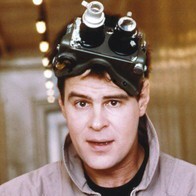 Primarily worn by Ray, both Egon and Venkman are briefly seen wearing them during the montage. 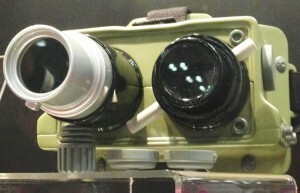 The base consists of an olive drab AN/PVS-5a Night Vision Goggles frame with two different microscope adapter lenses. After the goggles were damaged during the NY shooting, warning labels were put on the lenses for aesthetic purposes. 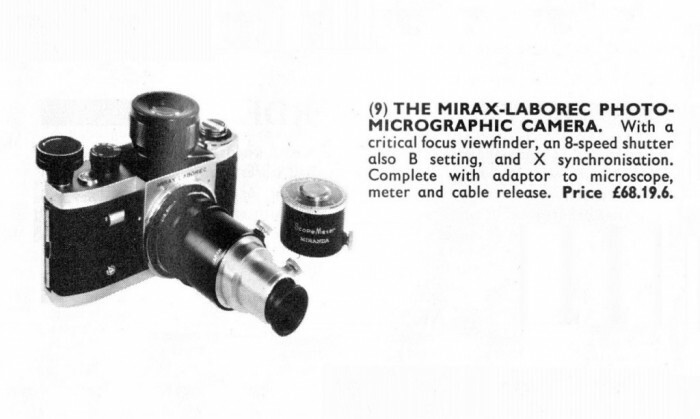 The right lens was taken from a Mirax-Laborec Photo-Micrographic Camera. This piece is extremely difficult to find due to the scarcity of the camera. There are a couple variations of the microscopic adapter however, the correct one is shown below. 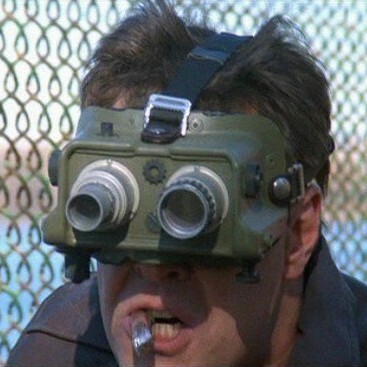 The Ecto Goggles, also referred to as the "Paragoggles", are used in conjunction with the PKE Meter to visually detect ghosts. 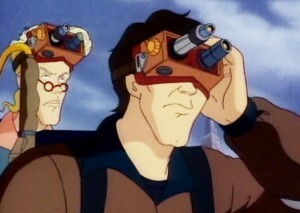 In the cartoon, the Ecto Goggles are referred to as "Spectro-Visors". They appeared in a few episodes, sometimes used by all four guys. 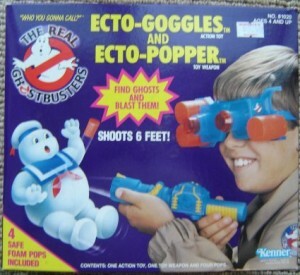 Kenner made a pair of Ecto Goggles for the Real Ghostbusters toyline that came with a squeezable gun that fired foam darts. 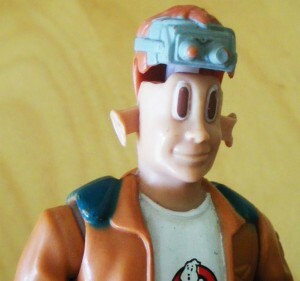 The Fright Features Ray figure is wearing the Ecto Goggles, and the Slimed Heroes Ray comes with a pair of removable goggles.